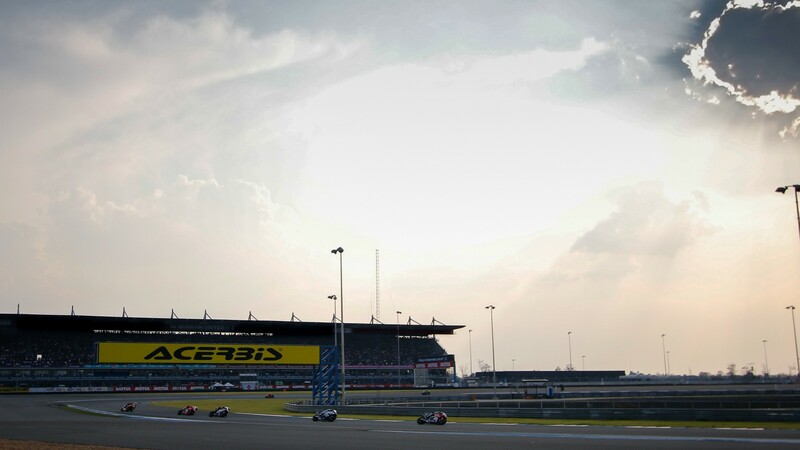 Buriram translates to English as “the city of happiness” and it's certainly been a happy hunting ground for Kawasaki in WorldSBK. The Japanese manufacturer is undefeated at the Thai track, but the opening round of the year showed fans that nothing can be taken for granted in 2018. Phillip Island saw five manufacturers lead a lap, Kawasaki under attack and a double win for Marco Melandri (Aruba.it Racing – Ducati). The new regulations certainly helped condense the field but what will be the story from Thailand? In Australia Tom Sykes (Kawasaki Racing Team) was denied victory in Race 1 by tyre wear and Jonathan Rea (Kawasaki Racing Team) was beaten to the line for Sunday's victory; afterwards Rea commented that the gear ratios of his Kawasaki weren't ideal for Phillip Island, because of the fast final corner. Thailand will not affect the ZX10-RR in a similar aspect, and so the green machines will start the weekend as the favourites once again. Ducati has traditionally struggled in Thailand, with power output having been a concern. If the Panigale is fast in Buriram, it will lay down a marker to the rest of the paddock. Melandri will be full of confidence, and having finished on the rostrum at the Chang International Circuit last year he'll know exactly what to expect. However no-one will know what to expect from the Pata Yamaha Official WorldSBK squad. Alex Lowes and Michael van der Mark will have an all-new electronics package for Round 2, and they'll be confident of making significant progress compared to the results at the opening round. In Australia Dutchman van der Mark was fast and at the front, and having claimed his sole WorldSBK pole position at Buriram, he'll be confident. For Lowes, Buriram also brings happy memories of his first career podium. Red Bull Honda World Superbike Team surprised in Australia with Leon Camier fighting in the lead group, but the Englishman will know that Thailand will be a sterner test of what to expect this year. On a similar side of the coin, the same can be said for Aprilia who will be keen to see the pace of the RSV4 in Thailand. The opening round of the year came with renewed excitement that 2018 could provide great racing. We go to Round 2 with the belief that Australia was no fluke and that we should continue to see a closely packed field.